PARIS (October 26, 2018) – Tailored to a giant, ultra-widescreen display on the Square Enix booth at Paris Games Week, this incredible 4K panoramic trailer gives players a glimpse of the beautiful South American inspired Island of Solís and a taste of what they can expect from JUST CAUSE 4 this December 4. 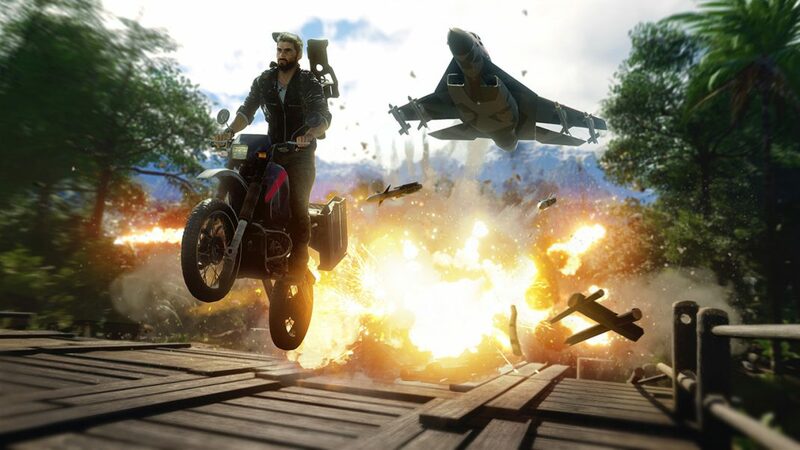 Thanks to the amazingly powerful, new Apex Engine, Just Cause has never looked better. Avalanche Studios have taken the series signature destruction and incredible physics to a whole new level with the introduction of fully simulated Extreme Weather events.